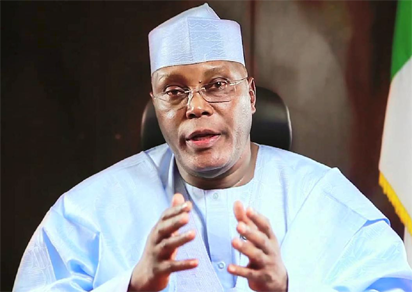 Nigerian presidential hopeful Atiku Abubakar’s January trip to Washington had a simple goal: end claims that he couldn’t go to the United States without being arrested. The 72-year-old former vice-president has long been linked to two US bribery and money laundering scandals, and rumoured to have been the subject of a visa ban. Abubakar has repeatedly denied any wrongdoing and his entourage dismissed talk of the threat of arrest as “fake news”. But far from putting the issue to bed, the visit has only triggered even more questions about if and how he was able to secure a waiver. Did lobbyists close to President Donald Trump facilitate the trip? How much did he pay? Why did he stay at Trump International Hotel, a stone’s throw from the White House? Without any formal response, the questions are likely to linger well beyond February 16, when Nigerians go to the polls. Beyond general pledges to tackle corruption, Abubakar has largely focused his presidential campaign on how he will turn the economy around. “Get Nigeria working again” — his Trumpian slogan — not only plays on his image as a successful businessman but highlights incumbent Mohammadu Buhari’s alleged failings. Nigeria, Africa’s most populous nation and leading oil producer, slumped into recession in 2016 as a result of falling global crude prices. The country has also leapfrogged India as the country with the most people living in extreme poverty. Abubakar promises free-market reforms, including the privatisation of inefficient and opaque state-run firms such as the Nigerian National Petroleum Corporation (NNPC). He has also vowed to reduce the powers of the central bank and its governor. But experts say his plan for a “dream economy” promising jobs and youth employment may be just that. “His talk of privatising the NNPC is not going to be easy because of too many vested interests,” said Abubakar Sadiq, from Ahmadu Bello University in the northern city of Zaria. Proposals to overhaul the NNPC have been stalled in parliament for years while his ideas for the central bank run contrary to calls for less government interference. This year’s campaign is the fifth time Abubakar has stood for Nigeria’s top job. Given his age and the country’s increasingly young population, it could well be his last. Abubakar is well-known in Nigeria as a former head of the customs service. During that time he developed business interests in oil, agriculture and other sectors. He became vice-president to Olusegun Obasanjo from 1999, when civilian rule was restored in Nigeria after decades of military government. During his eight years in office, he oversaw the privatisation of hundreds of loss-making, corrupt or poorly managed public firms. Even then, critics claimed he also profited on the side, making millions of dollars from graft, abuse of office and influence-peddling — but he has never been prosecuted. His tenure was also notable for a very public falling out with Obasanjo in opposition to the latter’s apparent plan to seek an unconstitutional third term of office. Since stepping down, he has tried to secure the presidential nomination for several parties, including Buhari’s All Progressives Congress (APC) in 2015. He returned to the Peoples Democratic Party (PDP) in 2018, accusing Buhari and the APC of failing to deliver on its promises. Abubakar rose to prominence from humble beginnings in the northeastern state of Adamawa, where he later founded the American University of Nigeria in Yola. “My parents didn’t believe in education, they didn’t want me educated. My father was jailed for not allowing me to go to school,” he said in a recent interview. With Abubakar and Buhari both Fulani, Hausa-speaking Muslims from northern Nigeria, there is little to separate the two in terms of the country’s identity politics. But Abubakar has sought to differentiate himself from his 76-year-old opponent, particularly for younger voters, who may see both as too old and too remote to represent them. In an interactive video, he indicated his children and grandchildren kept him on his toes: he has three wives, more than 20 children and dozens more grandchildren. He revealed a passion for English football team Arsenal, a love of spicy jollof rice, the music of Fela Kuti and Spiderman as his favourite superhero. “I think the mobile phone is the only gadget I know I can’t do without,” he said.